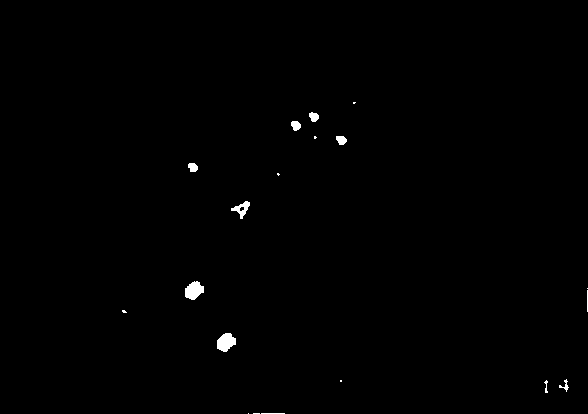 Your spaceship is encountering an asteroid storm; you must shoot the asteroids before they collide with your ship; but beware that large asteroids will break into smaller asteroids when hit. As in the popular pub version the game keeps a ladder of the ten best scores, together with the names of the scorers. Program 4K, graphics 6K. 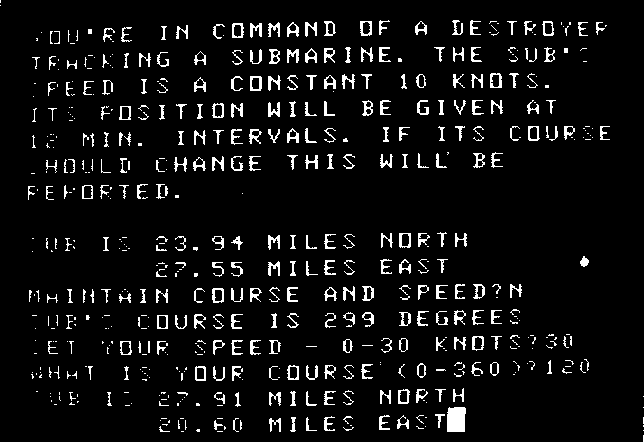 You are in command of a destroyer tracking a submarine; knowing the submarine's course and position you must choose your course and speed to catch it. 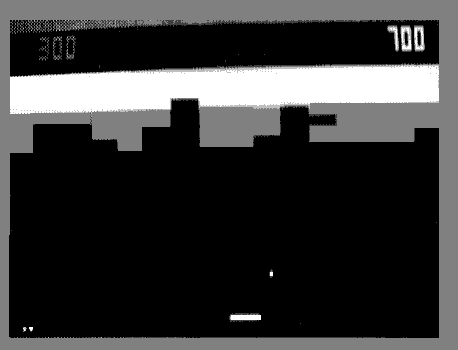 Program 1K, graphics ½K, needs floating-point. Breakout is a version of the popular pub game in which you score points for knocking bricks from a wall. Balls can get trapped behind the wall and knock out a great many bricks. To add to the skill the balls undergo two changes of angle and speed, and when hitting a ball two angles of reflection are possible. The game keeps a record of the highest score. Program 3K, graphics 1-2K.